Meet Amber, she’s an Aries. Her theme was “Pilgrimage to Cervecería”, designed by Lara Papadakis. Amber is currently cooling off Hotlanta with iced-out Pacificos, and of course doing the superman dance. 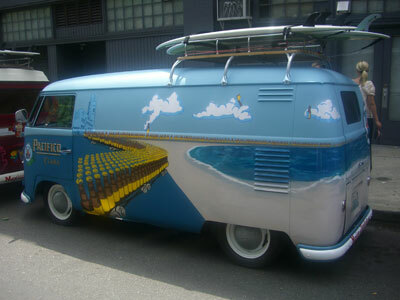 This bus was painted by DC Signs & Graphics of Lake Tapps, WA. The buses are just too cool. I'd love to see one in person someday.